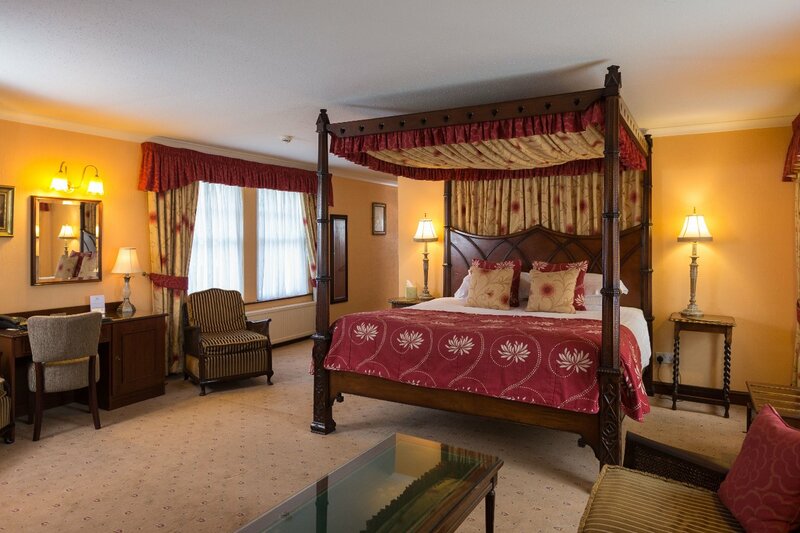 We have three beautiful four poster rooms located in the main building, very close to reception, up one flight of stairs. Two of our four posters have stunning views over our gardens and the Wreake Valley beyond. 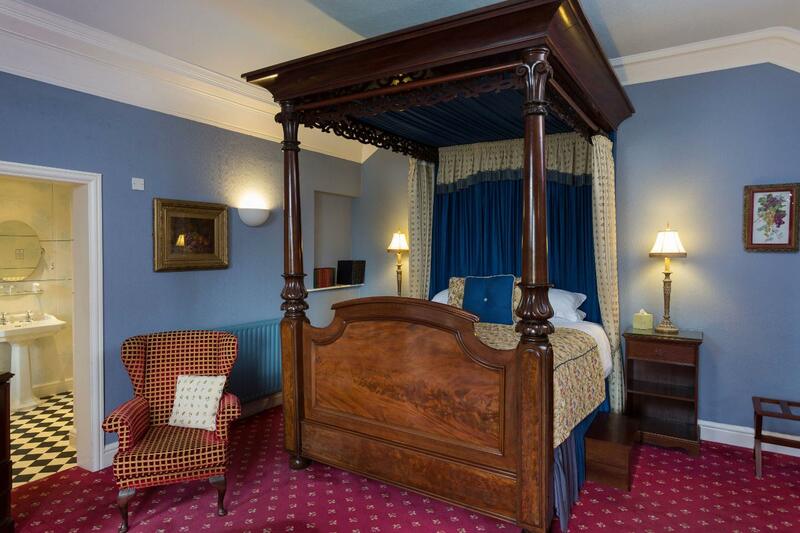 The other four poster is Room 2 and also known as the Easom Room - it is our largest room in the hotel with a 6ft bed and also has a separate double bed hidden away in a wardrobe which can be booked in advance for 2 children. 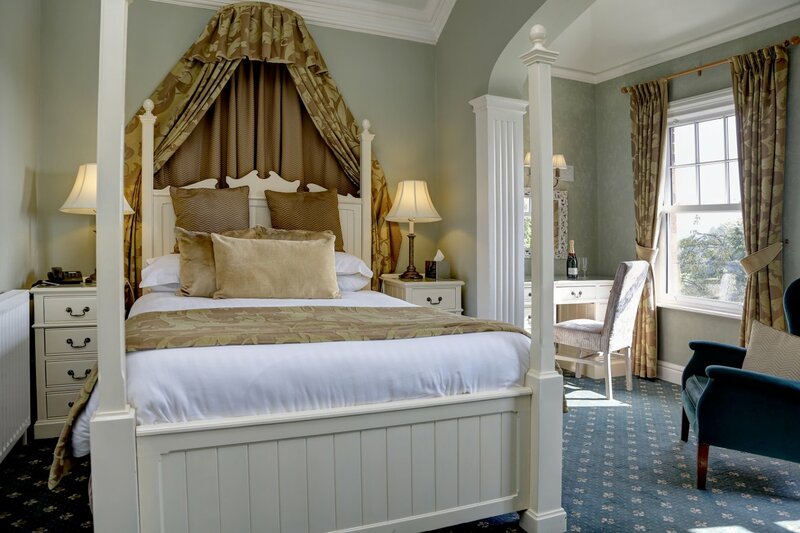 Room 5 is also known as the Colonel Pitt Room, it is our smallest four poster room with a 5ft bed but has been most recently refurbished. Please have a look at our tour of this room.